When you are competent to make your own medical decisions, your health care providers rely on you to help determine what treatments are best for you. But if you become unable to make your own health care decisions, the person you name in a health care power of attorney will work with health care providers in your stead. For example, if you name your sister as the agent to make your medical decisions in case you become incompetent, she will direct your medical care if you later develop dementia that makes you incapable of making your own health care decisions. A medical power of attorney, sometimes called a health care power of attorney, differs from a living will. A living will provides written directions to your health care providers, communicating your preferences for end-of-life care such as artificial hydration and nutrition. A medical power of attorney applies in all cases that you specify in the document, though the most common case is mentally incapacity; a living will only applies when you are in the latter stages of a terminal condition. In some states, like California, you can combine the functions of a medical power of attorney and a living will into one document called an advance medical directive. Generally, your agent can be any adult you wish. He does not have to have special medical training or any legal relationship to you. Some states, like Texas, restrict certain health care providers from serving as your agent, including your own health care provider or a provider in a residential care facility where you live. Since your agent is responsible for carrying out your wishes, you should explicitly communicate those wishes to ensure he knows what you would want. You should name someone you know you can trust to make decisions based on your directions, and you can name an alternate to act on your behalf if your primary agent becomes unwilling or unable to make decisions for you. Once you understand all the language in your power of attorney and have chosen an agent, you must sign the document to officially enact it. State laws provide different standards for finalizing your medical power of attorney. Texas, for example, requires two qualified witnesses, and at least one of the witnesses cannot be related to you, have a stake in your estate or be involved in your medical care in certain ways. California requires two qualified witnesses or a notary’s signature. Once you have created and signed your document in front of the appropriate witnesses or notary, you must make sure your agent and physicians receive copies so they can use it should they ever need to. Your physicians may place it in your medical files. You may wish to keep the original in a safe place that your family can access. State laws also vary when it comes to revoking or amending your power of attorney. Generally, you can revoke your document at any time, but whether this must be done in writing or can be done verbally varies. In some states, your revocation can be as simple as telling your physician you no longer want the document to be in effect, but in other states it may be necessary to create a signed revocation statement. Once you revoke the document, it no longer has any effect. If you wish to amend your power of attorney, you can create a new document and withdraw the old ones. For example, if you want to name new agents, you can make a new power of attorney, but it may be a good idea to take back or destroy any copies of your old document, so your medical providers and loved ones do not get confused about the correct version. Are Living Wills Legal in Florida? A living will is a legal document that allows you to set forth what types of medical treatment you do and do not want to receive should you become incapable of consenting to such procedures at a future date. In Florida, a living will is legal as long as it meets the requirements set forth in the state's statutes. It is binding unless revoked and must be honored by a treating physician. 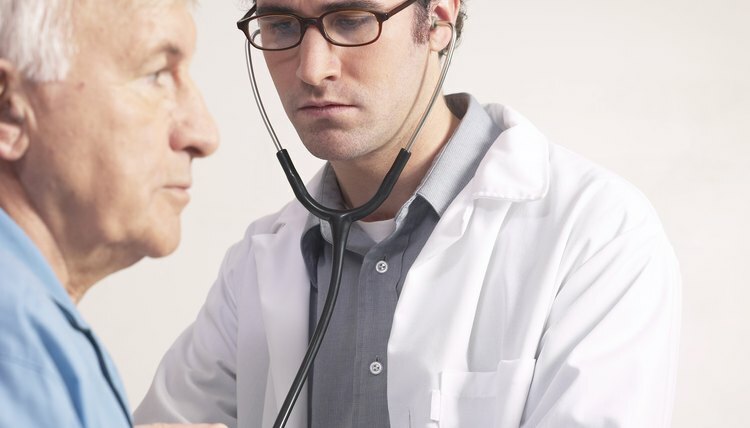 It is important to communicate with your doctor when medical care must be administered. Being able to convey your wishes and make decisions is the key to controlling what form of treatment and care you receive. An advance directive, such as a living will, makes it possible for you to put your wishes in writing ahead of time, so they can be followed if you are too sick or injured to consult with your doctor. A health care proxy, another form of advance directive, allows you to appoint someone to make health care decisions for you. When you are no longer capable of making your health care decisions, your physicians can rely on documents you create now to guide your treatment. Chapter 765 of the Florida Statutes addresses these documents, called advance directives. Sections 765.303 and 765.304 give a suggested form for your living will and instructions on how to enact it. Is a Living Will Valid After Death? Can the Next of Kin Overrule a Living Will? Does a Living Will Expire? Does a Living Will Replace a Will?